If you or know someone who is now ready to completed their Nikkah [Islamic Marriage Ceremony] and need a mature sensible Imam/Sheikh to conduct the service in English and Arabic but at the same time to counsel both parties with sound and common sense advice around marriage and roles and responsibilities and wider family and guests in your most important day of your life, without the stress and in a professional manner, then please contact our following Imams/Sheikhs who are more than happy to provide that service! To making a booking for a nikkah, simply select the Imam you wish to have, complete the form below and they will be in touch with you shortly. Please note this is professional service and professional rates apply. Hafiz Mushfique graduated from Dar Uloom Dewsbury and then completed in MA and MBA in management and has over 20 years experience in community and Islamic education, including being the founding CEO of the Ebrahim College and many other projects. He is trustee of the North London Islamic Association in Edmonton and khateeb and has conducted many Muslim Matrimonial ceremonies across the UK and beyond. 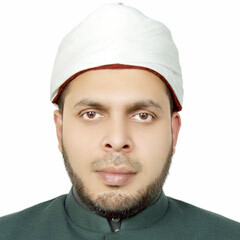 Hafiz Abdullah Muhammad is Director of the Quran Study Group. Graduated as Hafiz from Islamic School London, and then completed his MA in Islamic Studies from SOAS (University of London) and Law and furthered advanced studies post-graduate studies at Al-Azhar University in Cairo. He is the author of ‘The Best of Times in Islam’ (IPCI, 2002) and has also published numerous articles over the years in diverse publications. A solicitor by profession and as well as experienced RE Teacher, and was formerly the Headteacher of a successful Islamic School in London. 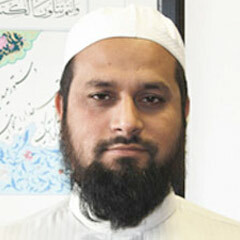 He has taught both adults and children over the last two decades in a range of settings teaching Quran. He also conducts nikkahs. 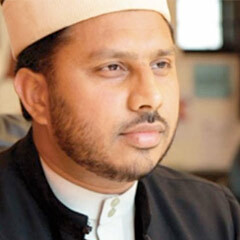 Sheikh Fahim is the Founding Director of the Beacon Institute and Muslim Family Matters consultancy. He graduated with BA in Business Studies and then MA in Education. He completed his Islamic Sciences degree from the European Institute of Islamic Sciences in France and has worked as a lead Mediator and Caseworker for ‘Muslim Mediation Service’, dealing with all family conflict and marital discord cases from a Shariah perspective. And HM Prison Service as an Imam, at HMP Grendon and Springhill, leading Juma’ah prayer, delivering Islamic courses, dealing with all the religious needs of Muslim Inmates and providing Islamic advice to the Staff and Management. Sheikh Fahim is married with four children and regularly conducts nikkahs for community across the UK and beyond.